Make jerky in a single sheet for consistent thickness and flavor! 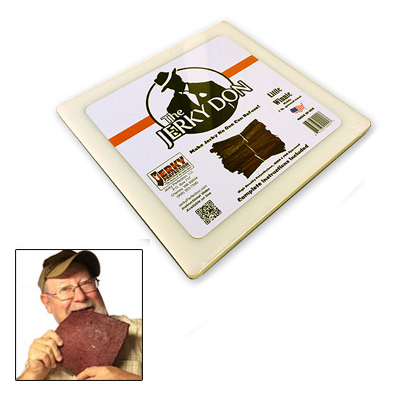 The Jerky Don "Little Winnie" jerky maker can make great jerky and snack sticks from one pound of ground meat. Smokes or oven cooks in about 4-6 hours. Clean up is minimal. Made of high density polyethylene, USDA and FDA approved. Complete instructions are included.